⬅ What Is A Business Startup Company? A long time ago, when I was young, besides my efficiency and productivity endeavors[! ], I had the opportunity to involve with and study various martial arts, both from a physical as well as from a philosophical and a historical point of view. Even though never I have the time (or the ambition, for that matter) to reach to a belt, or go ahead to a higher level, I get some valuable lessons, that I use them later in my life, on various occasions. Two of the common denominators in all the martial arts I have studied was the principles of a) the uninterrupted movement and b) the detachment from opponent’s movement. This was truer, in Kendo, especially because in this discipline you are training in the use of weapons (swords, Katana in particular, and Bokken in the practice sessions). Later on, the same principles I have found in the writings of Mihaly Csikszentmihalyi about Flow and I was surprised about the common ground shared both by martial arts principles and modern psychology. What was more impressive, though, was that even though unconsciously, I was using the same principles in my day to day work and activities!!! For example, when I was learning how to drive a car, every stimulus should be processed in order to execute. Now, that I’m in a state of unconscious competence! (according to the Four stages of competence model) for that skill (driving), a major part of driving a car for me (and for most drivers) operates in a flow-like state. I’m thinking especially about productivity! In my day-to-day work, I use various techniques for time management and for getting things done. 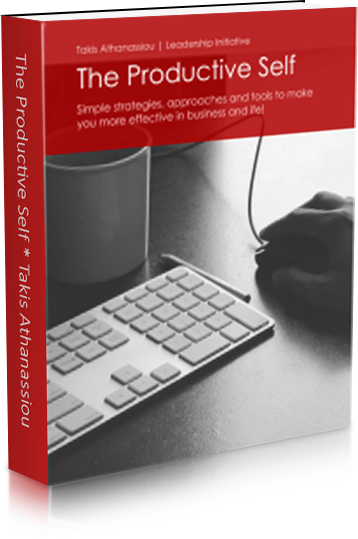 My mode of work is the result of a “hybrid” model of organization, time management, and productivity, that shared common features with various schemes (Covey’s Time Management, Pomodoro Technique, Getting Things Done – GTD, Prioritization, and other). In this area, in the productivity area, in particular, I find more and more myself, to implement these 2 basic principles (in accordance and support with the methodological/practical framework I use for my doing my work!). 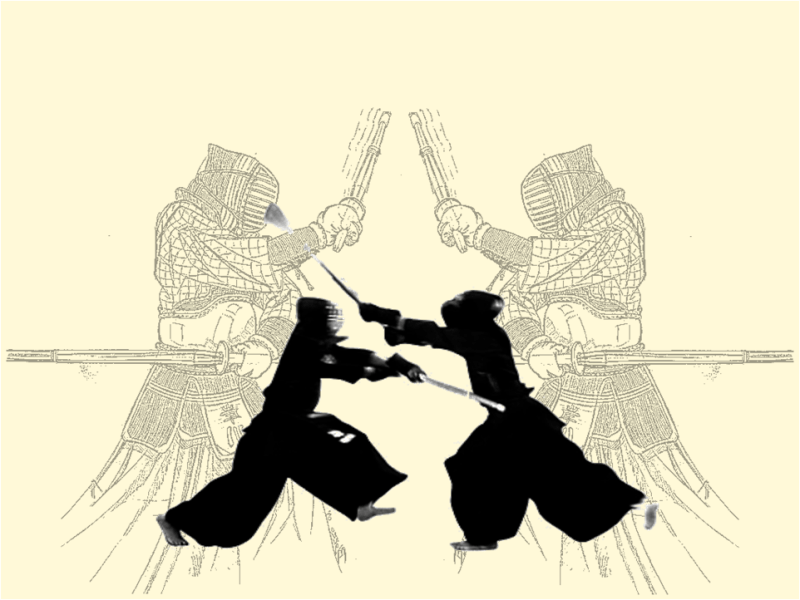 uninterrupted movement: the basic principle says that for example in Kendo, you shouldn’t stop your movement towards your opponent, exactly as a wave doesn’t have interruptions in its flow. 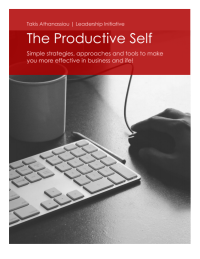 In productivity terms, it means that you should observe, monitor and follow your physical rhythm of work, in order to enter the state of Flow or, as in martial arts has been expressed, in the state of Mushin, in which you can achieve a higher productivity and satisfaction from your work or activities you perform! detachment from opponent’s movement: Accordingly, this principle, in martial arts, states that your movement should be not interrupted or follow the movements of your opponents because, in such way, you provide the initiative of movement (attack or defense either way) and the advantage to your opponent. This has as the result, you to be trapped by his/hers movements. In martial arts, as in productivity or business, you should always (or try) to have the advantage and the initiation of activity (it is very important for you to be proactive in various situations*) and not disrupt your action or plans either from external parameters (calls, telephones, last time meetings, a quick advice to/from a coworker, etc.) or from internal (hunger, fatigue, etc.) but to follow your course of action without interruptions. In that level it appears that all the major approaches (either it is martial arts, flow or productivity) share some common principles, all demanding, a similar level of attention and focus for their execution! Question: Do you, think, you can use any of these principles in your everyday life? Do you find them useful? Do you have experienced similar or other flow or productivity principles, would you like to share? You can leave a comment by clicking here.